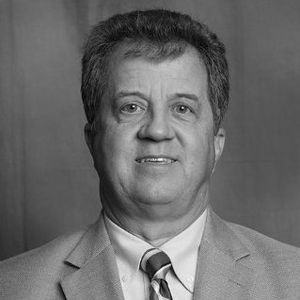 Mr. Klocko’s expertise spans thirty years in aerospace and industrial manufacturing at privately-held and Fortune 200 companies. His roles included general management, operations, manufacturing, information systems, business development, strategic planning and finance. Before joining Saenger Associates, his last corporate position was as President & COO of Tactair Fluid Controls, Inc., a privately-held aerospace and defense manufacturer. He has also held senior management positions at Textron, Inc. and Allied Signal, Inc. (now Honeywell) where he had responsibility for company operations in the US, Europe, the UK and Asia and served a worldwide customer base. After his thirty-five year corporate career, Joe re-invented his career as a staff member at College of the Canyons. He held the positions of Director, Center for Applied Competitive Technologies; Regional Director, Advanced Manufacturing for the California Community College system; and, Dean of the Economic Development Division at the college. The division is comprised of six company-facing organizations with a staff of over seventy subject matter experts focused on improving the global competitiveness of start-up, medium and large sized companies. Joe holds a B.S. degree in Commerce and Finance from Wilkes University, a MBA in Finance from Loyola University Maryland and has completed the Global Leadership Forum at the University of Pennsylvania’s Wharton School of Business. He has attended numerous training programs in the areas of Total Quality Management, Six Sigma, Lean Manufacturing and is a certified Six Sigma Green Belt. He serves the community as a member of the College of the Canyons Foundation Board of Directors having served as past-Chairman of the Board. He is a member of the Valley Industry Association Education Foundation board as well as the advisory boards of two for-profit companies.